Our professional dancers have the privilege of working with Enana Dance Theater, and international company based in Dubai. Festival of Arabic Music and Arts presents..."Julia Domna" By Enana Dance Theatre as the festival closing event. مهرجان الموسيقى والفنون العربية يقدم حفل ختام المهرجان مع مسرح إنانا للرقص المعاصر والعمل المسرحي التاريخي الراقص "جوليا دمنا"
The dance drama “Julia Domna” portrays the active role of women through the ages. The show attempts, through a mix of drama, dance and expression to take the audience outside the framework of time and place to feel the depth of Arab history. It highlights the life of an Arab princess, Julia Domna who meets with the Roman emperor, Septimus. They fall in love and agree to marry, but he is called to save the eternal city from the onslaught of German barbarians. Sadly, Septimus is assassinated which causes great grief to the heart of Julia Domna and she returns to her family in Syria. 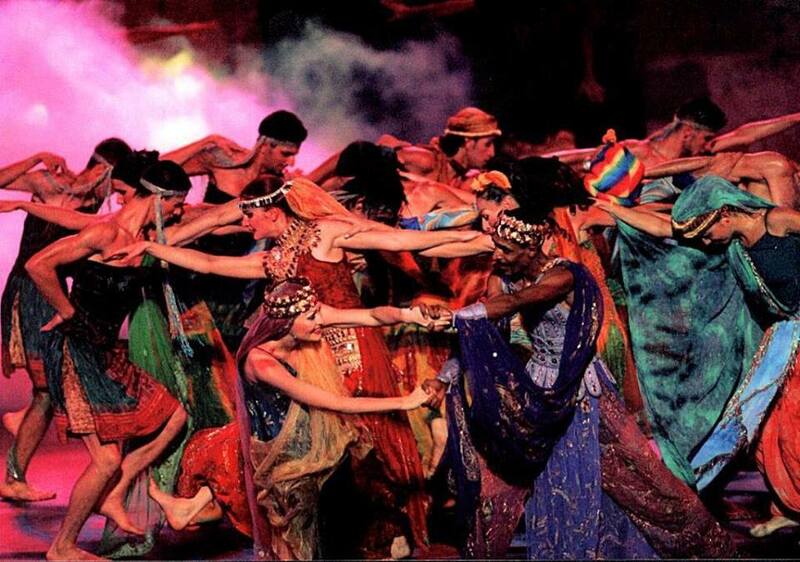 The finale features a dance performance reflecting Arab culture ranging from the Atlantic to the Arabian Gulf. The name, ENANA traces back to the ancient Syrian goddess of beauty, art and love. ENANA Dance Theatre was the first of its kind in Syria and participated in many local and international dance events, mixing fantasy with reality, basing its roots in the history of Syrian and Arab folklore. Since the 1990’s, ENANA’s strategic vision has been to promote the art of dance and expose the audience to the Arabic culture and civilization through advanced technical elements that integrate both the Eastern and Western spirit. WHAT: Come learn a little Cuban Salsa with DDA on the street, and enjoy a performance by our pro dance team. WHAT: Students in the Beginner Reggaeton workshop with Emily Einsmann have been practicing new movements and styling for 6 weeks. This performance gives them the opportunity to show off what they learned. This is not to be missed!